20-month-old baby Leon was so amused when he discovered that his eyebrows can move. He can’t stop laughing, then try to move his brows once again, then laugh again, then same cycle again. He can’t believe his eyebrows moved and he find it funny. Watch the video to see baby Leon moving his brows… and I dare you to not raise your brows while watching this video. COMMENT below if you succeeded in not moving your brows… but I bet you did. I Always Wondered This But Never Asked – Now I know! 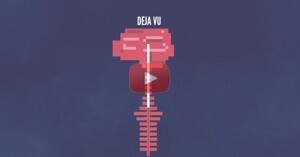 What Causes Deja Vu?